Ever since leaving the homeland of Africa, Homo Sapiens have spent 60,000 to 70,000 years navigating the vast unknown territory on Earth. We have sailed expansive oceans, traversed arid deserts, climbed snow-clad mountains and trekked endless prairies. Today, humans have not only set their footprints on but also mapped almost every corner of the Earth, from the South to North Pole, from the deepest cavern 7200 ft. under the ground, to the 28,000 ft. high summit of Everest. Today, a new journey is quietly picking up speed along a new dimension. Along this dimension we become conscious of our evolution as a global entity. There are many frameworks to guide the journey along consciousness evolution. Each offers its unique gift. Here is the kind of voyage empowered by Resonance Code. Imagine turning your attention to the part of you that is watching and recording the events in your life. Imagine this part of you is now connected to a technology that can reconstitute your memories into movie footage. At selected, important scenes, you will record your thoughts, sensory experience, feelings, and impulses. You will interview people around you, your family, friends, partners, people against whom you hold grudges or resentments, and those who have been impacted by your work or your being. These interviews constitute second- and third-person perspectives of your life story. This giant database of raw footage will enable you to observe your own evolutionary trajectory. Observing this raw footage is the first step. What if you want to compose these raw materials into a story for an audience? Who is the audience you most want to tell this story to? Your children? Future generations who have yet to come? Deceased ancestors? Non-human beings? Spiritual beings? Loved ones or strangers? What kind of story do you want to compose? Will it be a hero’s or heroine’s story? Will it be comical or sentimental? Will it focus on romance, adventure or a satisfying project? Will it flow like twisting, churning rapids or a peaceful, gracious river? Now, imagine a group of people, a family, village, nation or an organization, composing stories for the collective entity they belong to … will a coherent story emerge? Story differentiates our work from other types of human development work that are more focused on stage-wise progression. In our work, our focus is not on typing or advancing towards higher developmental stages, although studying the stages and types offered by various developmental models will greatly sharpen our perception and provide rich language and inspiration for our work. Our focus is surrendering oneself to the experience of traveling along the unknown dimension of consciousness, and seeking creative relationships with those who show up on our journey, including those who present us with insurmountable difficulty. In this regard, our approach may complement a weakness of stage or progress-oriented approaches. Since Trump’s election, I have experienced many people in the progressive circle feeling despondent, angry and triggered. Once Joe and I were at a party where we told our progressive friends that we just came back from visiting Joe’s family in Western Pennsylvania, who are all Trump voters. One woman turned to us solemnly and said, “I am so sorry to hear that.” She didn’t know that we had a deeply fulfilling experience there. Yes, there was high-voltage tensions around our differences. Yet, channeling that voltage into intimacy and vulnerability was extremely satisfying and exhilarating. I experienced just as much humanity, beauty and mystery in Joe’s family as my progressive friends. And I see that both sides are limited by the lens through which they insist on viewing the other side. From Resonance Code’s perspective, we see Trump and other populist-right movements as a timely, yet unconscious expression of a powerful surge of evolutionary impulses. (I will build towards the articulation of that evolutionary impulse within the framework of Resonance Code.) To the degree the expression is unconscious, it is disruptive and dangerous. To the degree that those of us on the other side feel despair, stuck and powerless, we are equally unconscious to that evolutionary impulse. Illuminating and tuning to this impulse presents us with another option. We can then ask how to offer the right vehicle to express this impulse consciously and channel it creatively? The conscious expression will naturally deflate and weaken the power of the unconscious expression. We will come back to these discussions down the road. For now, we focus on presenting the maps associated with Resonance Code. What does it take to travel? All travelers exploring unmapped, unknown territories need to address two questions. First, how does one move about? Second, how does one navigate? Movement: how do we move from one position to the next? In physical space, we move our body from one location to the next, either empowered by our own muscle or various transportation means. In traveling the unknown dimension of consciousness, we move our sense of “self” from one locus to the next. Only here the means of travel is not by airplane or car, but by responsive and creative actions, as we have discussed extensively in the Five-Phase work. However, when we act out of Reactive Patterns, even if we travel around the whole world, we are repeating the same movements at the same “place” of consciousness. The repetition of Reactive Patterns is important and necessary to prepare us well for important maneuvers at a future time. Yet, sometimes we may feel like we are a hamster caught on a wheel. We simply forget how to stop. Or we resist the awkwardness of stumbling around when we first step off. We might be horrified to discover that some part of ourself has been crippled since we have been caught by the wheel for so long. We become the prisoners of our fear, resistance and inertia. 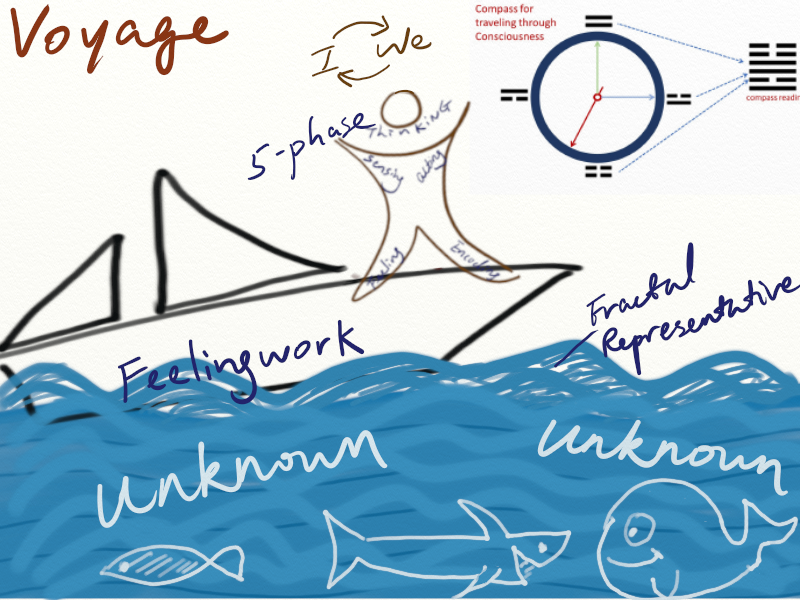 In the first part of this Voyage course, some of you have already experienced how Five-Phase and Feelingwork enabled one’s sense of self to make powerful strides as a whole being, with feeling, sensing, thinking, acting, and encoding faculties all interconnected and coordinated. In that sense, Five-Phase and Feelingwork are our power vehicles that allow graceful movement across this terrain. Proficiency in using these vehicles will come with practice. Fractal Representative helps us to name elements within the Unknown that just start to make contact with our known self. In forming the Fractal Representative, the known self and elements of the Unknown can experiment with new dynamics and relationships, setting conditions for integration. Navigation – Where is the home base? Where are we in the space? Nowadays, most of us have a GPS installed on our phone or in the car. When we move through the physical space, we constantly get a reading about the direction of our movement in relationship with the cardinal axes of the landscape we are traveling through. A hexagram reading is essentially a navigational device for our travel through consciousness. An example of an ancient Ba Gua symbols, matching the trigrams with directions of the Earth. There are many versions of Ba Gua for different lineages. In ancient China, I-Ching was used as a reference book for governors and emperors to decide on issues relating with a tribe or a country. Why, in modern times in the west, it has mostly been a solitary or recreational practice for individuals? That is because the territory of consciousness that the I-Ching was applied to was very different in ancient China than in the modern west. The self I-Ching spoke to in ancient China was fluid and changing like the ocean. This self was constantly in intimate contact with its external context. The self I-Ching has been entertaining in the modern west is much more fixed and solid as land. Encased within its own membrane, it is more concerned about its internal environment. Imagine a navigational device for sailing that reports positions in longitude and latitude and takes into account of ocean currents and wind. It may be fun and exciting to play with for travelers in a city neighborhood, but provides only limited practical use. In this sense, Five-Phase and Feelingwork are powerful vessels enabling a modern person to travel through that fluid, powerful or even chaotic territory of self, and charting a new direction between ancient China and the modern west. Our ancestors who set foot onto unexplored territory learned to orient themselves by observing the relative position of the sun, moon, and stars. In doing that, they also created rudimentary maps. With these maps, they could locate resources around their home base, avoid dangerous or difficult terrain, and keep exploring new directions that boded new potentials. Most importantly, they would not get lost in their excursions into the Unknown. Orienting themselves was critical to ensure they could always come back to a home base, where they could find sustenance, comfort, share each other’s stories by the camp fire, and prepare themselves for the next leg of journey. Human consciousness, especially in the last 300 years, propelled by industrialization and modern technologies, has launched an all-out, full-speed sprint towards progress. We have achieved the pinnacle of technological development, conquering resources from one continent to another. At the same time, we are also at the brink of destroying our home base, the ecosystem of Earth. In our Voyage, the kind of exploration we are taking focuses on re-establishing the home base in human hearts, and exploring this question, how do we cultivate progress and development in harmonious coordination with our home base? In our work, we return to the home base of human consciousness by entering through the portals of senses and feelings. In our ascent to the summit of technological achievement, the sensing and feeling capacities of our consciousness have been suppressed by the collective choice to privilege rational thought and the predict-and-control paradigm. Feelingwork is a particularly powerful modality to restore these suppressed functions. Sensing and feeling enable us to relate with each other’s story. They also enable us to tell our stories in a way that elicit others’ emotional resonance to nourish human hearts. The emotional resonance stored in the old archetypal stories of our culture is now depleting its vibrancy and vitality. In this new phase of the human journey, we need to grow and cultivate new stories for ourselves, our families and our communities around us. All stories set their stage in a place. 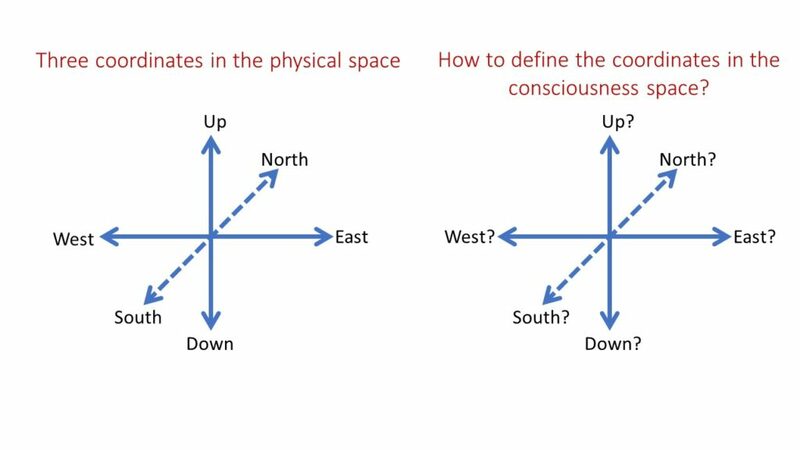 When we tell stories of traveling along the unknown territory of consciousness, how do we define our place? When we orient our positions on Earth, the three cardinal axes are universal markers used across all cultures. South/North is the axis around which Earth rotates itself. 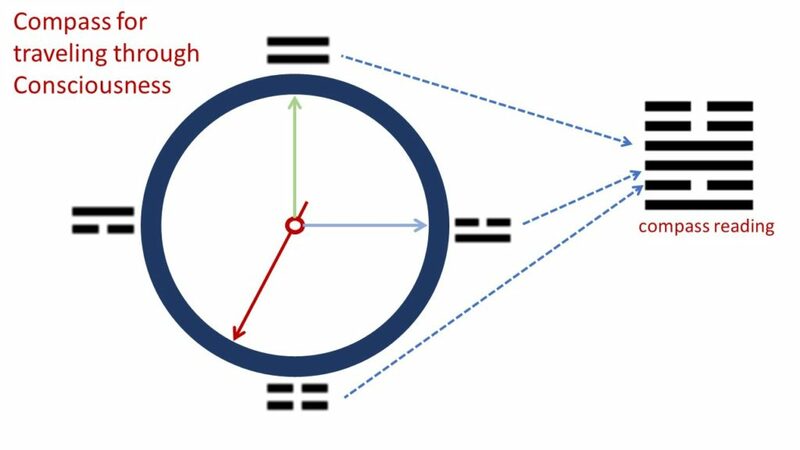 East/West is the axis of the Earth that rotates around the Sun. Down is the direction of Earth’s gravitational pull; up the opposite direction. These experiences of orienting oneself in a three-dimensional space are a collective legacy shared by humanity. Many of the indigenous cultures, including the ancient Chinese, honor the directions of the Earth in rituals and ceremonies. The eight trigrams, building blocks of I-Ching hexagrams, were originally assigned to the directions of the Earth. The central philosophy of Earth-based cosmology acknowledges that the space of the natural environment and the space of collective human psyche are two systems that can be tuned in resonance with each other. Therefore, the knowledge and experience one gains from one system can inform our knowledge and experience in another. Changes made in one system can ripple into the other through resonance. Shamans are essentially individuals who are trained to “tune” these two systems through their individual consciousness. Practices like Feng Shui or Vastu arranges the physical space to be in resonance with the space of consciousness and psyche. However, the old language of North/South, East/West, and Up/Down is no longer sufficient to help us orient ourselves in modern life. Suppose we tell a business executive to bring more Spirit of the North into his organization. He would likely roll his eyes. We need languages that are more pertinent to everyday life in the modern context to direct our sense of self. We are not hunters and gatherers roaming through forests. Nor farmers constantly exposed to the elements. We do not have that intimate, day-in-day-out relationship with these directions anymore. What we have instead is a life-time of experiences interacting with various social systems, cultural constructs and intellectual frameworks. These experiences provide rich resources for us to mine. In 2009, I set out to map the original nature-based language onto languages based on cultural systems, by drawing from my experience in finance, science, information technology and systems theory. These works eventually crystallized into the first version of Resonance Code, RC1.0. The guiding principle of my work is that this new language should provide a neutral description of the space within which consciousness evolution unfolds, without assigning value judgments to any directionality or dimension of the space. Just like humans have chosen to live and travel in diverse natural environments on Earth, any place in the consciousness space may be a home base or a destination, available for travelers to explore and experience. How will I know this new language describes the space of consciousness with sufficient accuracy to be useful? The test is whether the languages of Resonance Code can yield an explanation of 64 hexagrams consistent with a large portion of the I-Ching texts. Moreover, it should allow new discoveries outside the cultural context of ancient China, thus empowering modern people of diverse backgrounds to explore innovative solutions on a global scale. In the next essay, I will start to describe the content of Resonance Code 1.0. I am offering it as a seed of a collective effort. I hope this seed will plant itself in the body of a We-Space, where new meanings will be woven, new symbols coined, new stories shared, and poems sung. After all, that was how the current version of I-Ching was written. Practitioners of many dynasties have contributed to it. Their actual names have already dissolved into the flow of time, and yet their devotions, dreams and hard work have become the very vibrational energy surrounding the book of I-Ching, blessing its vitality through many tortuous ups and downs along Chinese history, and its adventurous journey in the West. Evolution does advance toward higher developmental stages. That is what happens. It is not a conscious choice. It is a maturational process which does not require any framework of conscious understanding or human development work. What humans managed to do is turn the lens of attention onto what happens, and thus we can now talk about developmental stages. They are as natural and inevitable as growing up. They are humanity growing up, through individuals whose consciousness grows up. And that happens from thousands of tiny choices each day. But it happens, and has happened, and will happen. I don’t think it’s meaningful to talk about a purpose of evolution, so I wouldn’t use that idea in what I said above. So “our focus INSTEAD” is not meaningful to me. Sure, we can focus our conscious conceptual attention on frameworks or on the experience of surrender to the unknown. But the stage development happens AS and BECAUSE people engage in that surrender to the unknown. So it’s not, to me, any “instead of” in that sense. I especially loved your reaffirmation that (in my words) a “people” is coalesced by a single story they share. So the differences among groups of people should really be traced by the differences in shared stories, not religion, or tribe, or nation, or skin color, or anything else. I don’t know if anyone has mapped out humanity that way yet. Boy would that be helpful to some of us! And those currently talking about New Story are creating a new group of humanity. I think everyone here is in that new group. Most people I know and work with, are in that group. Our story is not from any shared geography or history; it is from our values and our view of the future and our passion for creating a shared view of the future. LOVE that perspective! Who resonates or wants to say something about all that? Now I go back to the appetizers and continue the meal you have prepared from your abundant garden of yourself, Spring! Thanks for your rich feedback. I enjoy reading it a lot. Regarding your comment about developmental stages, it shows me there is much more I need to develop to present my ideas. I agree with you that there is something inevitable about the direction of evolution. I want to develop a different way to talk about it than the word “higher”. I see a big, often unconscious limitation in the usage of that words. For example, high and low is intimately associated with our kinesthetic awareness of gravity in our body. Whenever we emphasize “high” over “low”, we unconsciously direct our awareness away from our feet towards the head, which is a symptom of our current head-oriented culture. On the other hand, I think this inevitable direction is always beyond what language can pin down, because it exists in a realm that transcends language. Maybe that is what Lao Tzu called Tao. Tao means the way, the journey. In Tao Te Ching, he says, there is a Tao, but once we put in the words, it is no longer the Tao. Yet, I still think it is worthwhile to find the most accurate way to encode it, and update its meaning as best as language can to guide our journey along the Tao. Another perspective about the current developmental stages is that they are mostly written in western languages and conceptual frameworks. I remember last time we talked you told me when you opened up a Hawaiian language dictionary, you realize how different the consciousness shaped by that language must be. I feel every language is like a sieve, catching shapes and meanings from the ocean of consciousness, and leaving others behind. There is blind spot in any language and culture, including western languages and conceptual frameworks. I often find the description of the different stages of development carry blind spot or even unconscious prejudice towards non western, non modern cultures. I would like to make these blind spots more visible and make the models more robust across cultures. It will be a long journey and it just started. Thanks for your feedback and being an awesome companion on this journey! Please could you share a bit of your meaning when you say “consistent with”?? Spring I NEVER use the word “higher” in the context of stages of maturation. I always say earlier or later. For exactly your reasons. And frankly I don’t even believe in “evolution” as always toward more complex. The larger the scale of time or distance we pay attention to, the more there is devolution and dissolution and complexity reverting to simplification. Humanity’s love affair with evolution is very self-centric, IMHO. I share your desire to “eff the ineffable” as I call it, haha. Always granting we are only pointing. And I totally share your desire to point out gaps and blind spots, and keep expanding our frameworks beyond seeing them as incompatible, or one right and one wrong. There ARE places to stand in which the richness of them all is viewable, we just have to discover those places, do what it takes to get ourselves/our awareness there. “every language is like a sieve, catching shapes and meanings from the ocean of consciousness, and leaving others behind. There is blind spot in any language and culture, including western languages and conceptual frameworks. ” Then I also got that perspective from some things I read in college around language and consciousness, and then from reading R.D. Laing especially The Politics of Experience which shows how intimately language shapes our reality perhaps even before we understand the language we are hearing as infants!!! Charles, your history of contributions is richer than I yet know, and I am sure I’ll be delighted with all there is to discover. Thank you, on behalf of the world! P.S. For the same reason, I use “stages” instead of “levels” even though the original Spiral Dynamics people say “levels,” but they know what they mean, and most people don’t!!! 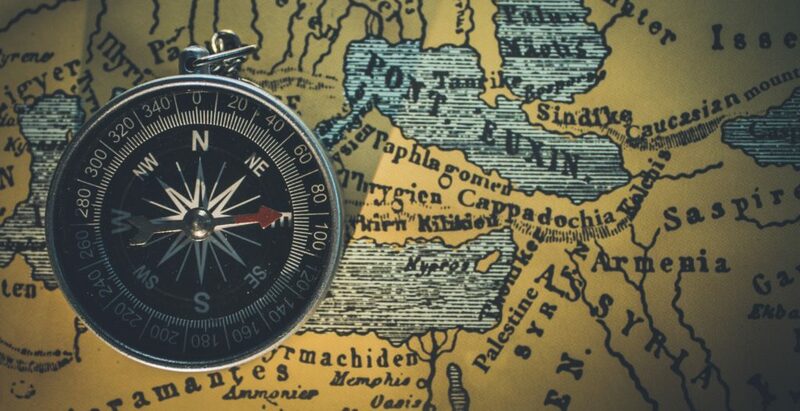 Orienteering is a word I like a lot….in that respect, all that Spring is introducing us to in the Resonance Code is integrated into my approach to navigating the many spaces I find my many awarenesses traveling within/without. I like the mapping aspect of it all. But, really, how does one map ‘No Space’? How informative and exciting this essay. Thank you for all the richness you bring to my experience. There is so much to respond to here it is a bit overwhelming. Suffice it to say I am so grateful for the light you shine on your knowning-ness and the unknowable. In response to Ted’s question above: …’how does one map ‘No Space’?’ Is not simply by holding ‘No Space’, not creating a map? A way to access and potentially offer it to others by making it more widely accessible, is that not the purpose of a map, yet I understand this is different than cartography? I see Spring’s work as her expression of a space she blesses, holds, explores and offers to others. A mapping of the often inexplicable ‘no space’ between everything.